Life is tough, and there are constant obstacles that block our paths. But the outcome is all in how you see things. Having Scoliosis makes things much harder for me but I choose to see things from a different perspective. It’s much easier to cry all day, stay in bed, and live off of medications. But that is NOT the life I want, nor have. I have yet to have a full 24 hour day that I don’t experience pain. 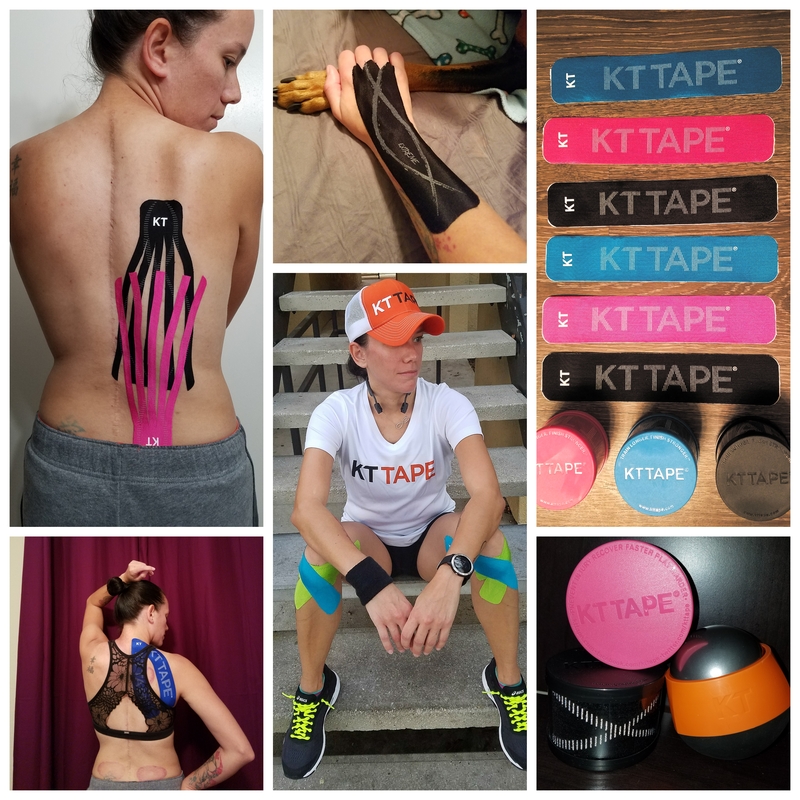 Anyone who suffers from Scoliosis can tell you that the smallest tasks can be difficult to manage. Getting out of bed is tough, sitting, standing and forget about bending over. I just had a conversation with a friend, explaining to her that eating has become pretty challenging for me. Sometimes just raising the fork up to my mouth is a lot of work on my troubled back muscles. I sometimes get in what I call a “locked” positive. It’s where I get stuck and can’t move because it’s too painful. I can go on and on about the things that cause me pain, but you know what? I try my best to see the positive and humorous side to the dark days. I believe that to survive life, you gotta learn how to smile, laugh, and be positive. Laughter is my go to medicine and fixes almost everything. I am not ashamed of my crooked scar, it looks cool because it looks like I won a fight against a dinosaurs. I am not embarrassed about my hip that sticks out, because I look better with curves. My shorter leg is getting shorter and I have to stand on my right leg to balance out, it’s just jealous it isn’t as muscular as my right leg =) My swollen muscles make it easier to find the problem without touching it. My rotating ribs are too cool to stay in the same place, so they decided to go on a little journey. My hump, that has been with me for years is getting bigger because it loves me so much more now that it’s trying to give my heart a big hug! Not being able to raise my arms straight up is a reminder that sky is not the limit, being that there is people in space. There are no limits when you are chasing a dream. Having numbness in my legs more often now are just their way of telling me they want to go for a run. The chronic headaches are there to remind me, I’m alive. I am not embarrassed about all the imperfections that I was given. They are what make me special and strong. I don’t regret the medical decisions I have taken in the past, because had I not, I wouldn’t have stumbled upon my strength. It wouldn’t have given me courage to chase my dreams. When I started running in races 5 years ago, I never had imagined I would be training for the NYC Marathon. I told Alpha from the beginning that the most EPIC race, the big boy, the top of the list race, the out of this world race would be New York Marathon. I said I will do whatever it takes to get there. It took me close to year to run ONE mile successfully. After that year, it took me 2 years to run my first half marathon…NOW I am actually training for New York, and it has turned out to be an unforgettable, incredible journey. I have become a faster, stronger, better runner over the years. I have learned from mistakes, and have grown from obstacles in my way. I have to put in triple the work than a healthy runner, but I do it smiling with tears until I find something that works. I don’t run for speed, I don’t run to prove anyone wrong. I do it because I CAN. I do it because it lifts my spirits and it makes me feel powerful. I run because its the toughest task I have taken on. I run because its hard. I run because it makes me smile and it makes me sweat. I run because nothing else can compare to the feeling of crossing the finish line when I have spent the last 15 years in my life stuck in bed or on crutches. I RUN BECAUSE I AM UNSTOPPABLE. 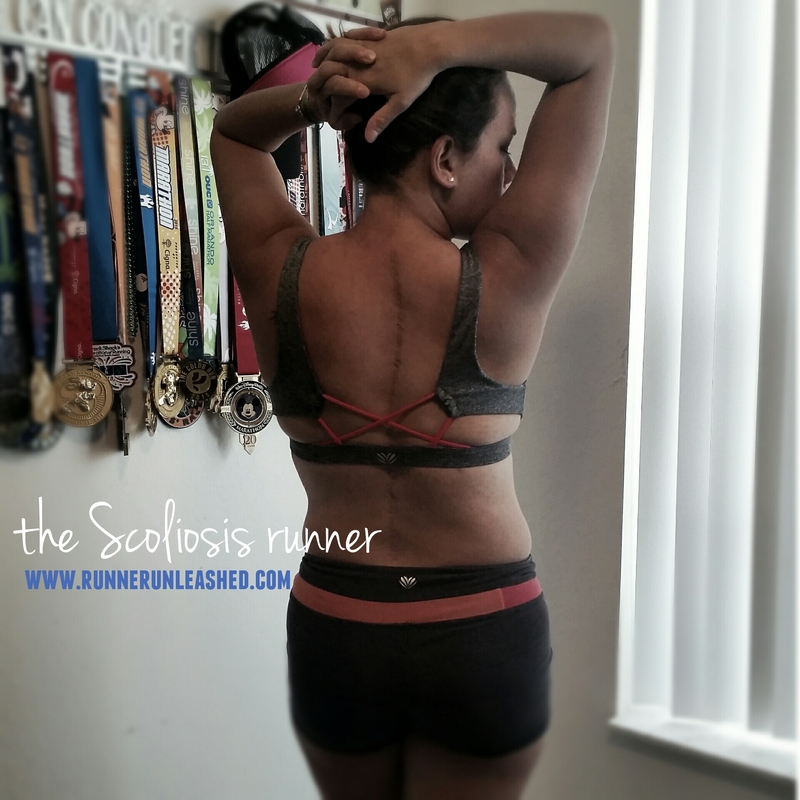 Both my daughter and i have scoliosis. I run and train in martial arts. My daughter also trains in martial arts. You have inspired us both. And i am glad that i am not the only one out there Running and struggling this is so inspiring. I feel you tiger. Go get em. I love this! I also have chronic back pain from a fusion I had six years ago from a car accident. I’ve been running for the last four and I’m running my first half in November. Some days I would just rather lay in bed, but what good is that going to do for me? I hope you know that you’re awesome!